In a dramatic twist, blogger Linda Ikeji is facing a tax evasion suit. Reports suggest that the Federal Inland Revenue Service (FIRS) slammed her with a staggering N75 million tax bill. 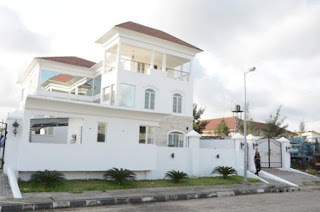 Reports say that Linda Ikeji has come out to state that she is not the owner of the Banana Island Mansion she had earlier this year claimed to be hers. There are reports that the FIRS is preparing to charge her to court on tad evasion charges.